Sliding Doors by bearing system. Equipped with stainless steel intermediate shelf. Ease of fixing to the wall with slotted accessible inside. Doors double walled insulated ecological polyurethane, with a density of 40 Kg / m3. 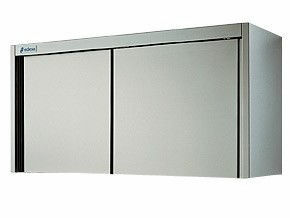 Built entirely in 18/10 stainless steel, satin finish.